If your refrigerator and stove are still a matching shade of avocado green, or you are forced to share a bathroom with your three teenage daughters, it may be time to look into a home renovation. Remodelling your kitchen or bathroom are the best investments you can make, with returns of over 100 percent. Though remodelling can cost a pretty penny, it can provide significant returns when it comes time to sell your home -- if you do it right. Certain home renovations are a win-win situation, providing enjoyment to you, the homeowner, and then making your home more marketable, and worth more, in the future. Other renovations, however, can set you back thousands with no guarantee of future payoff. Kitchens have replaced living rooms and family rooms as the new "heart of the home." Whether entertaining or spending time with the family, the kitchen is likely "the place to be." Kitchen remodeling can range from installing granite countertops or tile floors to adding built-in appliances, an island or changing layout. Says Mary Johnson, residential specialist with Premier Properties in Naples, Florida, "The younger buyers, especially the baby boomers, want a modern kitchen with the cooktop stove and nice cabinets, not to mention wine coolers and subzero refrigerators. I think it does make a difference. Even if it's just a cooktop stove, they walk in and say, 'Oh, it's a remodelled kitchen!'" Estimated Return on Investment (ROI) at Resale: 92.9 percent, according to a 2004 survey by Remodeling magazine. How does a couples' walk-in shower, new skylights, Jacuzzi tub or vaulted ceilings sound, for starters? According to Harvard's Joint Center for Housing Studies, a mid-range bath remodeling (which costs an average of $10,499), will add $10,727 to your home's value. The ROI based on these numbers? 102.2 percent.
" ... If money's tight, just replacing the water fixtures helps," says Johnson. 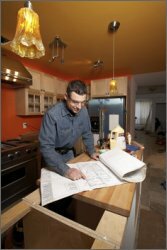 ROI: 90.1 percent for a mid-range remodel, according to the Remodeling magazine survey. An extra bathroom will always add extra appeal to buyers with families. If you're not sure you have the space, consult with a contractor. "You can't lose by adding a bath," Johnson says. ROI: 86.4 percent for a midrange addition (approximately $20,000). 80.1 percent for an upscale addition ($40,000 or more). New siding can give a major facelift to your home, and the return you'll receive is one of the highest out there. At the top of the list are family rooms and bedrooms. Doing so can be expensive, as it often involves extending walls, rearranging rooms or adding box-bay windows, but the investment will likely pay off in the future. ROI: 80.6 percent for a family room ($50,000 or more investment). 82.7 percent for a bedroom (costs about $35,000). Be sure that your home renovations will add to the value of your home, but be aware that getting too extravagant may not bring the return you're expecting. "Don't exceed the ceiling for the neighborhood, or you won't get your money back," Ramos says.